The Federal Republic of Germany celebrates its 70th birthday this year. Much has changed since 1949. Today, the FRG encompasses all of Germany and not just the West, as it did at its founding. No longer the eastern border of the West, the FRG is now at the center not only between east and west but between north and south. Furthermore, it is once again Europe’s largest power both in terms of population and economics, although not so large as to be a hegemon. What remains unchanged, however, is that it still lives under the constitution of 1949. What are the implications of this constitution for contemporary Germany? The framers believed that the German public could not be trusted to be democrats and had to be restrained within a democratic context. The Grundgesetz was written by Germans who did not trust their country. The founders, with the assistance of American authorities and German emigrés, created a constitution which was not even called a constitution but a Basic Law (Grundgesetz), as it was meant to be temporary until the country was reunified and an all-German constitution could be written. It was written with both the Weimar and Hitler experiences seared into German memory. Both the failure of democracy in Weimar and the mass support for Adolf Hitler meant that the framers believed that the German public could not be trusted to be democrats and had to be restrained within a democratic context. Consequently, a number of “never agains” were built into the constitution which was not a constitution. The Basic Law contains a ban on anti-democratic parties and speech both to prevent a return of an extreme right nationalist party like the National Socialist German Workers’ Party (NSDAP), as well as to prevent the Communists from taking power. The Communist Party (KPD) was banned in 1956 by the Constitutional Court and only reemerged under a different name in 1968. Strict laws on hate speech including those pertaining to social media are a current manifestation of this concern. The numerous checks and balances built into the political system including a vigorous federal system of strong state governments, a Constitutional Court, the limits on a federal police force to prevent a new Secret State Police (Gestapo) and a liberal asylum clause all stem from this aim. The restrictions on militarism and the military was another goal, and the Grundgesetz limits the autonomy of the German military and its missions by requiring it to operate in a multinational coalition and expressly for territorial defense. The Bundestag must approve any deployments of German forces and the Chancellor is not even granted the power as commander-in-chief. In addition to the bans on extreme parties and speech, the electoral law passed after the constitution includes a 5 percent clause which limits the number of parties in the federal parliament with the hope of avoiding the ineffective multiparty system of Weimar. The office of the President, which was held by Paul von Hindenburg in Weimar and led to Hitler being appointed Chancellor, was downgraded to a figurehead role. The Constructive vote of No Confidence (which requires a parliamentary majority not only to remove the Chancellor, but also to elect his or her replacement) was designed to maximize executive continuity and prevent revolving door governments. The limited use of referenda, which had the misuse of referenda in Weimar in mind, limits direct democracy and has spared Germany from a Brexit type quagmire. In addition to the legacies of Weimar and the Third Reich, the reunification of the country in 1990 has been influenced by the Constitution. In addition to the legacies of Weimar and the Third Reich, the reunification of the country in 1990 has been influenced by the Constitution. When Germany was able to get the agreement of the Allied Powers to reunify under the Treaty which followed the Two Plus Four negotiations, Germany had two ways to constitutionally unify. It chose the Article 23 accession route, which simply extended the constitution to the eastern states of Germany rather than the Article 146 route, which would have called for a new all-German constitution. By doing so, the Grundgesetz remained in force. This has had a number of consequences, most notably the lack of a feeling of agency in the former East Germany (GDR) and the failure to consolidate the Länder (states). This left 16 state governments in a country the size of Tennessee and Oregon combined. The Final Treaty also banned German production and possession of atomic, biological, or chemical weapons and limited the size of the Bundeswehr. 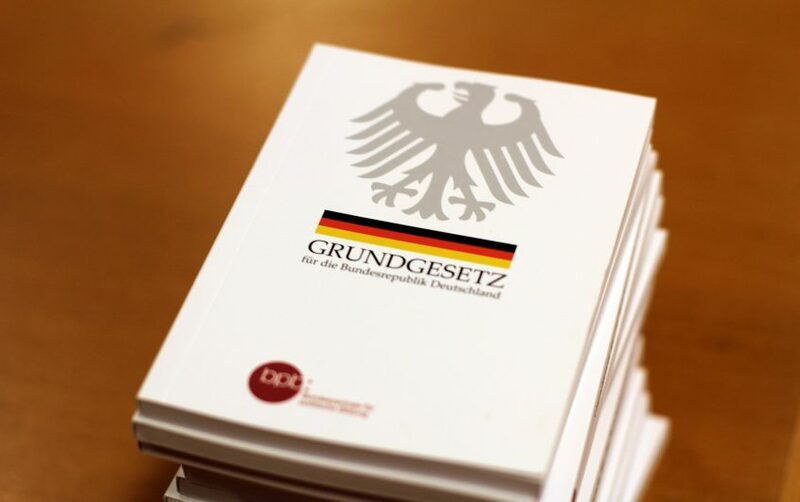 There is no doubt that the Grundgesetz has been a very stable and successful constitution. It has avoided the excessive personalization of power found in presidential systems and has promoted consensus-oriented, centrist coalition governments. Its federalism has both reflected and strengthened a polycentric society which has avoided the centralization of power and wealth in the capital, thus limiting the sort of populist backlash evident in more centralized countries like the UK and France. The requirement of the wealthier states to make transfer payments to the poorer ones, based on a concept of solidarity, has also limited the number of economic and political losers. To live in Munich, Leipzig, or Hamburg, for example, is quite different than to be in Lyon or Manchester. The concept of an armed democracy, which proactively combats extremism, has allowed Germany to better defend itself against extremist speech and groups, as well as against the abuses of privacy by American social media companies. All successes contain the seeds of demise and Germany is no exception. 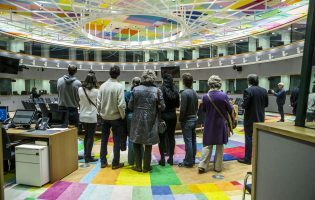 The consensus-oriented centrist politics of coalition governments has limited the role of opposition, and of the Bundestag. Grand coalition governments, as is also the case in Austria, have opened the door to the extremes which argue that there is an elite consensus which prevents real change. Despite the 5 percent clause, the voting system set up by the electoral law is essentially one proportional representation which has ensured a multiparty system. As a result, Germany now has a six-party system which includes a far-right extremist party as the largest opposition faction in the Bundestag. The fact that much of the former GDR, despite receiving close to $1.5 trillion in funding since unification, has been left behind, has opened the door for the rise of the Alternative für Deutschland (AfD) and other extremist groups. The anti-militarism of the past has not only produced a culture of strategic restraint but a Swiss style parochial mentality which avoids taking responsibility and providing larger public goods. Rather than restraint, there is a tendency for free riding in post-unification Germany. 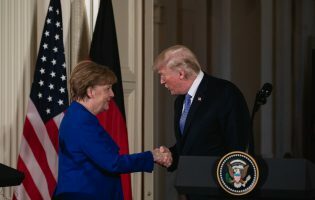 The need for parliamentary approval of all military action and the limits on the Chancellor in this field have hindered Germany’s role as an alliance partner and provider of security beyond its borders. The fear of a Gestapo and the decentralization of the security services have hindered Germany’s ability to counter terrorism and extremist groups at home. These are, however, largely problems of political leadership rather than of a constitution, which in comparison to others in the West, still looks to be a model. 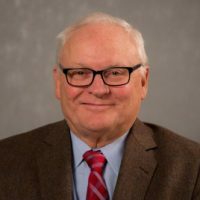 Dr. Stephen F. Szabo is Adjunct Lecturer in European Studies at Johns Hopkins SAIS. 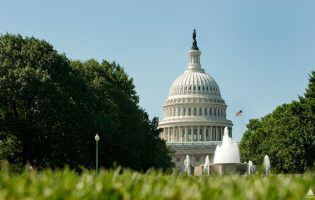 This article was originally published in The SAIS Observer on April 5, 2019.